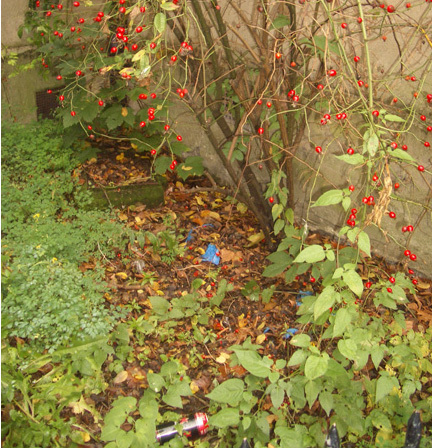 The little Hawthorne bush that nestles into an eastern corner of Old St Mary’s Church is covered in bright red berries. Beneath it is a sign of local druid activity – a can of Kestrel Superbrew. Amazing news. I’ve recently learned about an underground river that flows from Highbury down into the Hackney Brook Valley. Usually I spot these streams when I see cans of extra strong lager scattered about on the surface, but in this case there was a whole off-licence. I was buying a few bottles of beer at Highbury Vintners and commented on the strange slope of the floor in the shop, which seemed to counter the slope of Highbury Hill.